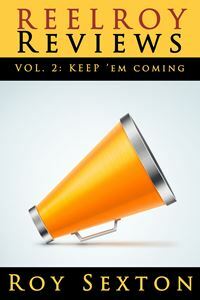 13 days left until the official launch of ReelRoyReviews, a book of film, music, and theatre reviews, by Roy Sexton! Nobody makes comedy gold from exasperated worry like Melissa McCarthy – the kind of frustration and anxiety about a world spinning out of control that leads one to bold, aggressive, head-busting tough love. She did this to great effect in her breakthrough Oscar-nominated performance in Bridesmaids and does so again in Paul Feig’s follow-up to that film, The Heat, alongside co-star Sandra Bullock. McCarthy seems to be the comedic love-child of Kathy Bates and Jackie Gleason, marrying Bates’ soulful empathy with Gleason’s caged intensity, in a feisty package whose doleful eyes speak volumes, even in the most farcically broad circumstances. I don’t always love Bullock. She can come off rather stiff and clunky with an overeager desire to show her aren’t-I-a-zany-dame? schtick. However, partnered with McCarthy who exudes edgy warmth in spades, Bullock becomes a crackerjack, shining a simultaneously acerbic and poignant spotlight on a patriarchal power structure that resents her intelligence and blocks her progress at every turn. As noted, the script stumbles with some dumb b-movie cliches and gets pretty muddled about two-thirds of the way with some gross-out gags that undermine the overall momentum and message. However, sweet character moments toward the conclusion pull the film back on track. The Heat is worth seeing, albeit with lowered overall expectations, for the nifty high-wire act that McCarthy and Bullock are pulling off. They deserve a better film…which, in and of itself, may be the most compelling proof point/indictment of the kind of institutionalized sexism the film attempts to critique.